Cosninix is Ronald van Woensel. 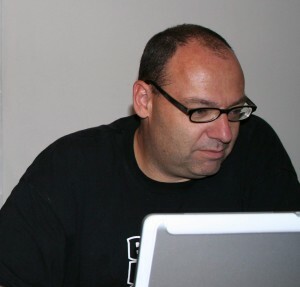 Ronald van Woensel (1961) is a T-shaped serial entrepreneur with broad experience in all aspects of ICT. He has over 35 years experience as founder, entrepreneur, manager, analyst, designer, developer and consultant but still can get excited when hacking on a piece of software until it works. Primarily a bootstrap entrepreneur, but he also succeeded in closing various seed and series-A investment rounds for his companies that needed a faster growth path. This strategy resulted in a number of very successful exits in the past. He is currently managing partner of Innovader building fundamental web and mobile technology as well as innovative applications for a broad range of customers. He is also providing his expertise to the startups of incubator utrechtinc.nl as Entrepreneur in Residence. Founder of LocusWMS, the leading warehouse management system used by companies like GAP store, Wehkamp, Blokker Holding, Quickstep/unilin, EXEL logisitics, Alcatel-lucent, HEMA and Etam group. After starting Locus in a garage he was able to expand this into a multinational sector leader with 75 people before selling it in 2003. The disruptive technology of Locus gave early adaptors an edge to their respective fullfillment and distribution infrastructure capabilities. Nowadays the Locus technology is commonly found in all logistic systems.